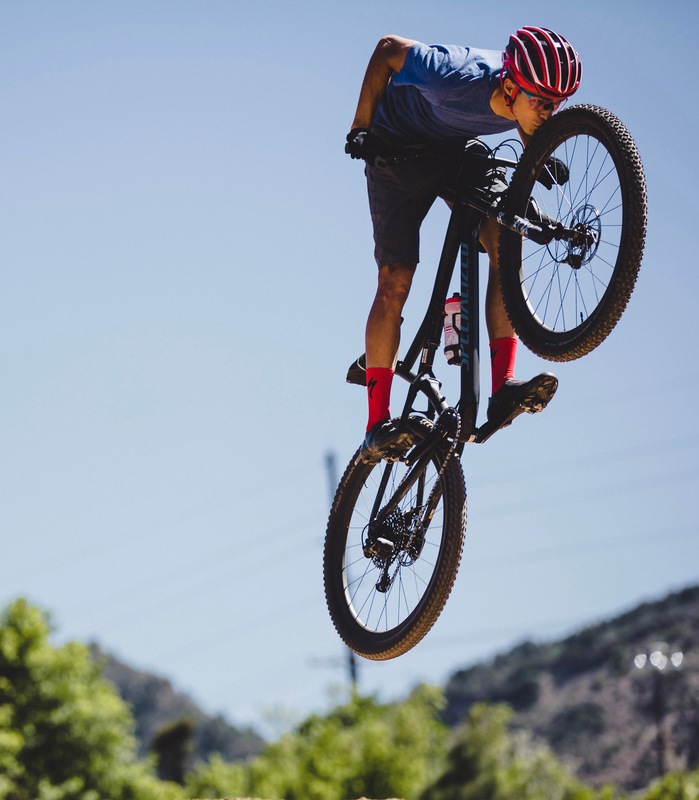 Chris started his cycling career at the tender age of five, ripping around the BMX course with such a skill that he quickly gained fame in his biking-mega hometown of Durango, Colorado. At age ten, Chris picked up mountain and road biking. He hopped on, started pedaling, and his momentum hasn’t stopped yet. 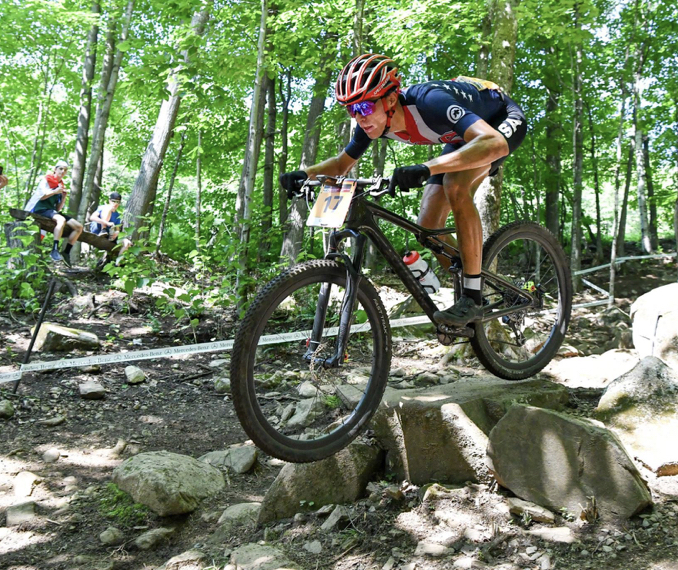 Now just 20 years young, Chris is the second ranked mountain bike pro in the United States and one of the top ranked U23 riders in the world. He’s won multiple national championships in different cycling disciplines, tackling the worlds of road and mountain biking all at once. 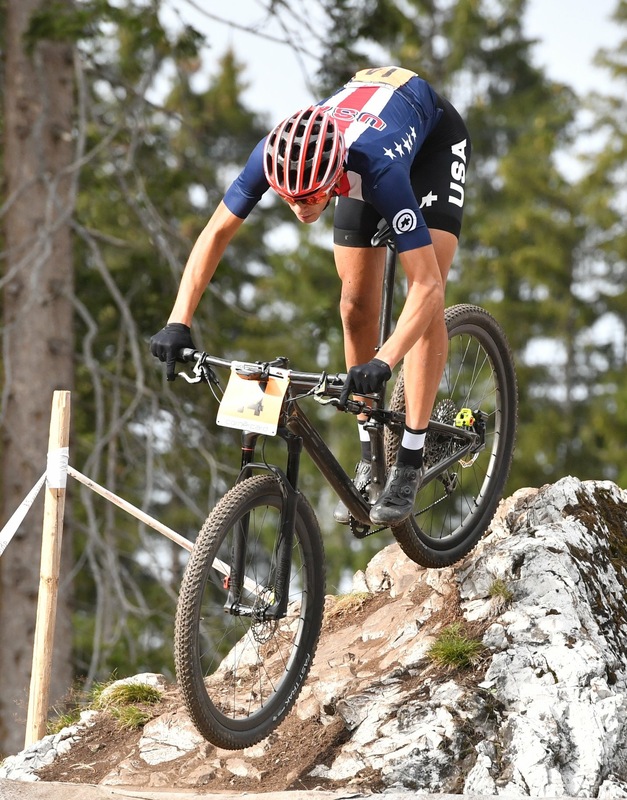 Most recently, he traveled to Switzerland where he placed second at the U23 Mountain Bike World Championships, just the third male racer from the United States to make the podium in this category. 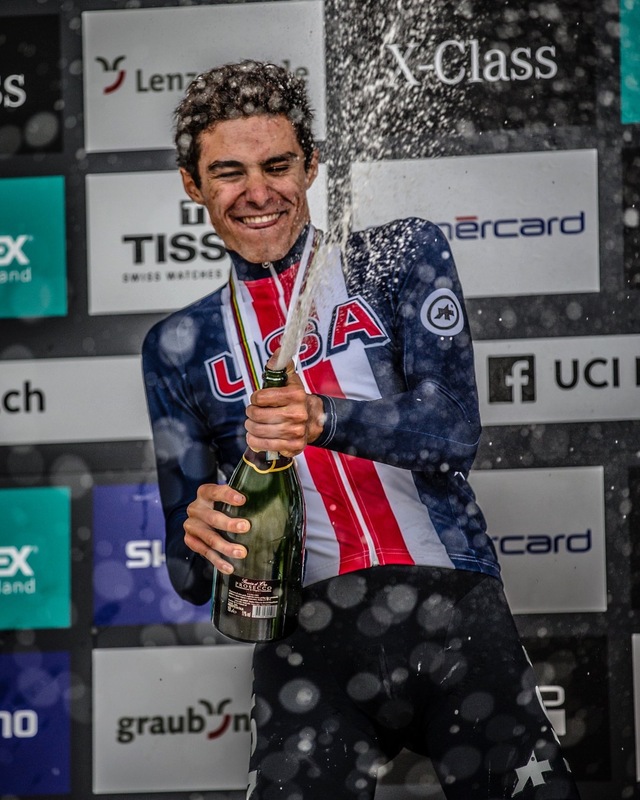 He races for Specialized Racing, is on the world’s best road biking development team, Hagens Berman Axeon, and is on the USA National Team for mountain biking. When he’s not off winning races or training, Chris is a Business Administration major at Cal Poly San Luis Obispo, minoring in Sociology. In his plethora of spare time, Chris is also a member of the Cal Poly Entrepreneurs Club and a volunteer for the Restorative Partners Organization where he teaches creative writing at the local Juvenile Hall. He also bought a surfboard and a guitar just to pick up some extra hobbies, and raps and writes poetry from time to time. Despite a hectic schedule, Chris has always had the mentality of creating balance amongst his many passions. I sat down with Chris to hear just how he juggles it all. I’ll start off with the most important question: what do you love about biking? Well, there’s a lot to that, because bike racing has expanded to a lot of areas in my life. What I love most is definitely the experiences it’s brought me. I’ve met a lot of my best friends through the sport and traveled to a ton of really cool places. I feel incredibly lucky to have so many stories to tell from places my bike brought me to. I love the racing because it’s such a test of your heart and resolve. When you’re racing, nothing is holding you back from pouring everything into it. Cycling at the highest levels tests a lot of emotions and I think that’s one of the coolest part of it. When did you know cycling was more than just a hobby? That you were actually really good at this? It was always a bit more than a hobby for me, as I took it fairly seriously as far back as kindergarten. Through elementary school I traveled across the nation pretty routinely for BMX. But I didn’t really realize I could make this a career until my last couple years of high school. I won some pretty big races in Europe that set me up for my first pro contract. Once biking was more serious, were there sacrifices you had to start making as far as other things in your life? There have always been sacrifices, and I think that’s the nature of any high-end sport. Every little thing matters in the time you’re off the bike, just as much as it does in training. For instance, if you go out one night and barely sleep, your training takes a step back for the whole week. You have to be very conscientious of the little things that go into making you faster. Has school ever been one of those sacrifices? I’ve made a huge effort to not sacrifice school because of cycling. I chose Cal Poly over schools with prestigious cycling programs because I wasn’t willing to turn down the school I liked most. I take the spring quarter off every year when the race season picks up, so that’s definitely a sacrifice; but one that’s worth it. I’ll graduate in five years on this schedule. How much time do you have to take off school to race and train? Is it difficult to catch up? I’ve had a lot of practice in middle and high school missing school, but college is a different animal. Last year I had a 10 day training camp in SoCal, about 3 hours from Cal Poly. I spent every minute I was off the bike and away from media events doing school work. One day of camp I had to drive all the way back to school for a test in the evening, and then turn around at 5 the next morning to drive back for a 6 hour ride. That’s the worst of it, but it’s definitely always a bit tough to catch up on classes. Why do you feel like it’s so important to remain balanced? Cycling can be such a demanding sport, and as a consequence a lot of cyclists can be very single-minded. I strive to have interests outside of the sport in order to maintain perspective and keep things fresh. I’ve always thought of myself not as a bike racer, but as someone who happens to race bikes. There are so many things I want to do and accomplish outside of the sport. I think I appreciate cycling for everything it is because I’m involved in other things. For example, I’m just as passionate about spoken word poetry as I am about biking. I made an album called Mile Markers last year, and it means a lot because it’s the first time I really dove into my own poetry and put it out there. My music and poetry is more introspective, but I also like to encompass broader themes that impact the world. Helping run a creative writing program with Restorative Partners at our local juvenile hall in San Luis Obispo is one of my favorite ways to spend my time because I get to share this passion. Do you feel like this balanced mentality helps or hinders you at all? For me, being balanced has definitely helped. I think I would have burned out long ago if I never found other things to keep me motivated. It definitely depends on the personality of the athlete, and there’s really no right or wrong approach. But for me it’s been essential. This might be a tough one, but what do you see after college? How important is your schooling going to be in the future versus your biking? Hopefully, I will make the Olympics right before I graduate, so I kind of view 2020 as a crossroads in life. I don’t know exactly what I’ll be doing. I really want to do good and create change in this world. I don’t want to just pedal bikes my entire 20s, but I also understand how cool it is to have the platform of pro athlete to inspire kids and such. We’ll see! Any advice to people pursuing a professional athlete/college student lifestyle, how they might be able to do it all too? The biggest advice I can give, as cliche as it sounds, is to follow your heart. If your heart finds a lot of things in life exciting, work hard to carve out the time for it all. Set high expectations for your dreams, but also go easy on yourself when things are stressful. And always enjoy all the little unique things that make up the big picture. And duffels and luggage to take your bike all around the world like Chris.